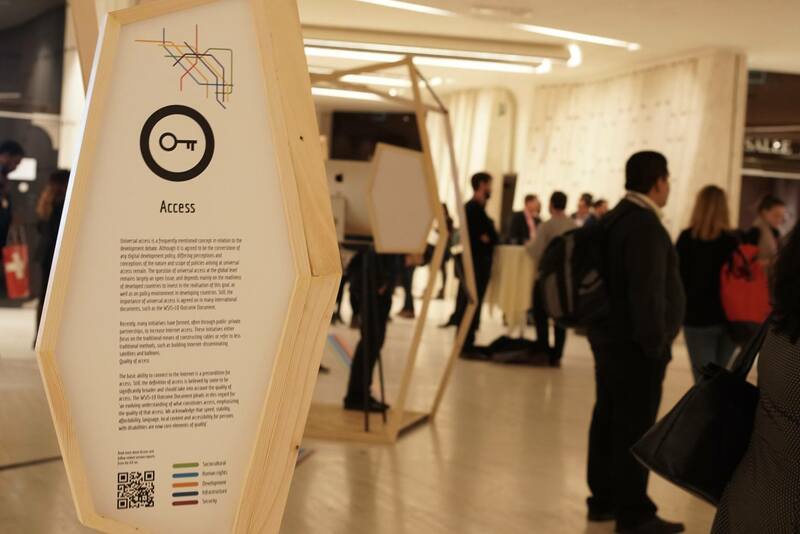 In December 2017, DiploFoundation and Geneva Internet Platform, in cooperation with HEAD Geneva and the IGF Secretariat organised an exhibition during the Internet Governance Forum (IGF) at the United Nations in Geneva. It aimed to show the potential of art informed by technology as a powerful tool to increase critical thinking and social awareness, and to cast a light on different issues in society, using twenty-first-century forms of communication. 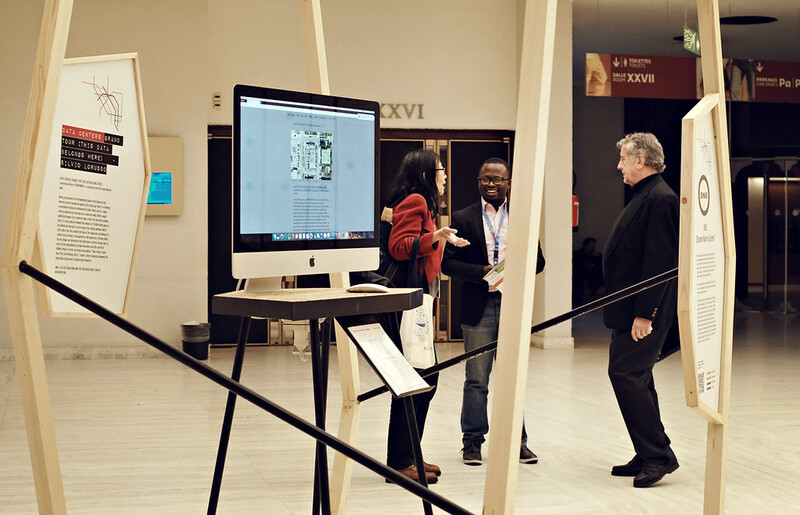 For the first time in the history of the IGF, the programme incorporated an art exhibition, connecting digital policy, art, and technology professionals. 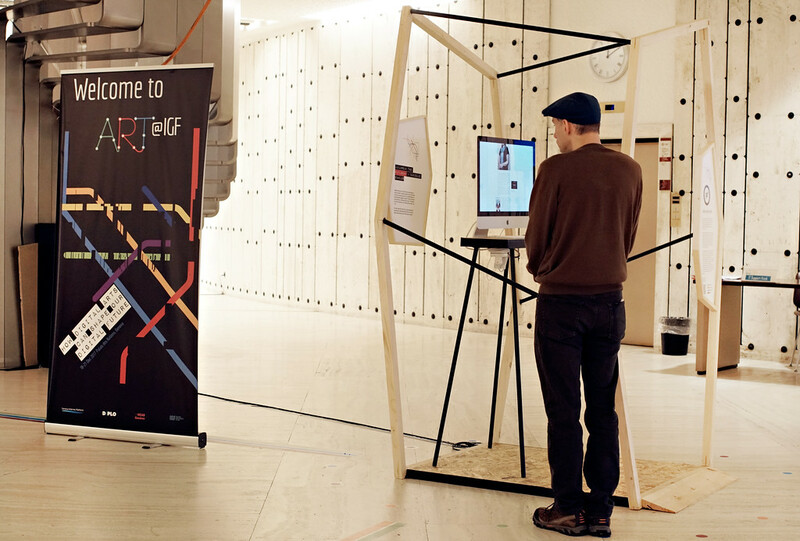 The exhibition was constructed in the form of a subway map as a journey metaphor to explore different Internet governance topics, such as infrastructure, security, and human rights. 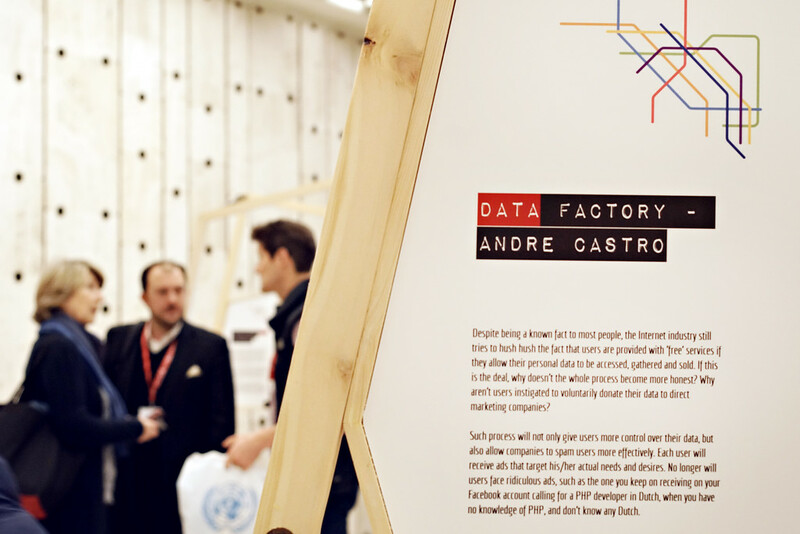 As people followed the lines, they arrived to subway stations where artists displayed their perceptions of the core digital policy issues of the day, such as privacy and data protection and copyright. Each station had a dedicated artwork on the issue at stake, together with general information on the issue to help the visitor navigate the space. 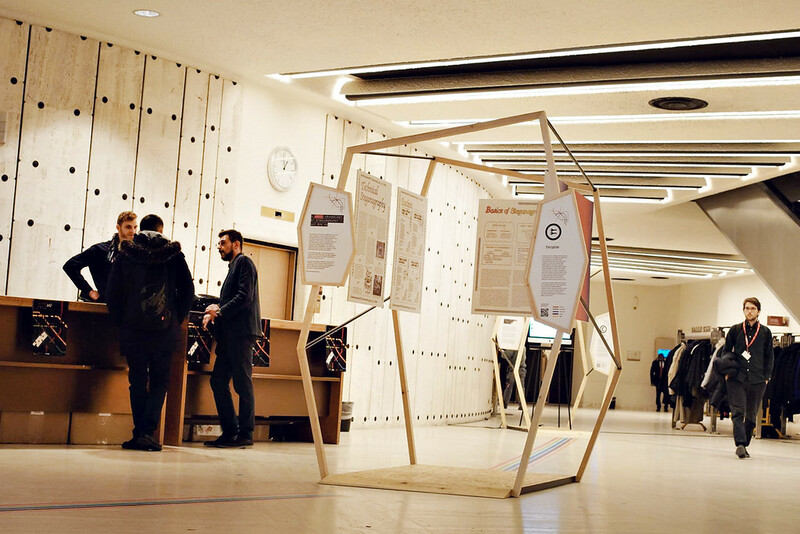 The ART @ IGF exhibition was located ins UNOG building E on the first floor, spanning the hallway space between the two staircases and several halls, on the way to both the main session room and the cafeteria. In this way, IGF visitors inevitably had to pass it at some point of the four IGF days. 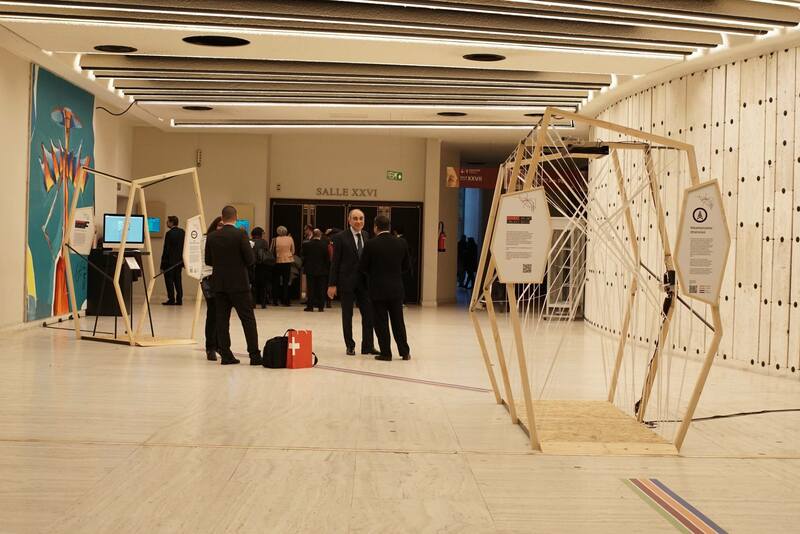 The purpose of the ART @ IGF location was to be ‘in people’s way’, in the space between busy session schedules.